Anna Ross led Penn with 14 points in Tuesday’s loss to Princeton. 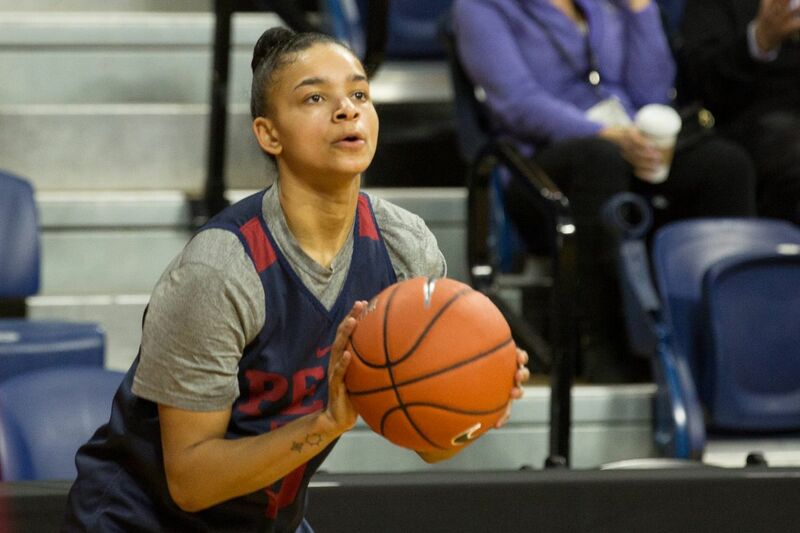 Anna Ross and Michelle Nwokedi were the Quakers' only double-digit scorers, as the Tigers went on to beat their visiting Ivy League rival by 20. Ross, 14 points, shot 6-for-14 from the field and missed both of her three-point attempts. Nwokedi, 12 points, shot 5-for-18 and went 0-for-4 from three. She grabbed nine rebounds, falling one short of a double-double. Eleah Parker added four points and eight rebounds. Bella Alarie led Princeton with 18 points and 15 rebounds, and Abby Meyers added 17 points on 7-for-15 shooting. With the loss, Penn drops to 15-6 overall and 6-2 in Ivy League play. The Quakers sit at second in the conference behind Princeton (17-4, 7-1) with six games remaining in their regular season schedule – all against Ivy League opponents. Adreana Miller and Rayshel Brown each scored 12 points, but the Explorers couldn't keep up with the Rams in an Atlantic 10 loss on the road. Miller shot 4-for-15 and was 3-for-10 from beyond the arc. Brown shot 5-for-8 and grabbed four rebounds coming off the bench. G'mrice Davis led Fordham 18 points and nine rebounds. She went 7-for-13 from the field and was a perfect 4-for-4 at the free throw line. Bre Cavanaugh had 15 points and eight rebounds for the Rams, and Lauren Holden added 16 points. The Explorers are 3-10 in conference play after Tuesday, and 8-18 overall. They're 12th in the Atlantic 10 with three games left in the season.